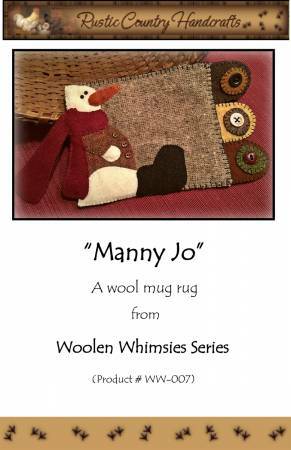 Manny Jo is a cute little wool penny mug rug featuring an appliqued sitting snowman all bundled up for the winter season. The rug can be used on a desk at work for coffee or with a candle. Finished rug is 5in x 8in.